The Moose is just precious and this website is great. 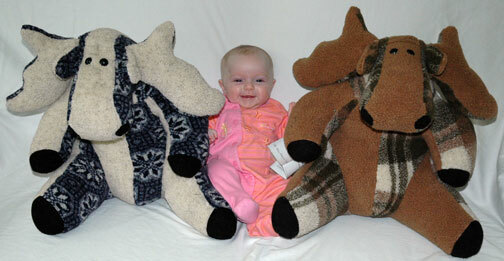 I ordered it the day before our granddaughter was due and told The Moose Store it was for a baby due any day. The Moose Store got me the stuffed Moose in 3 days! The Moose Store was early but the baby is late, so we have it to take to the hospital when our new granddaughter arrives any minute now.